It’s a sign that summer is officially winding down. 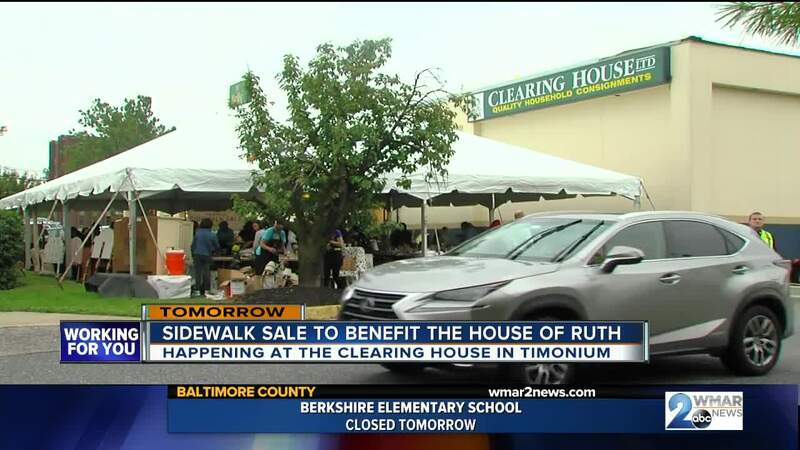 Labor Day is over, the kids are back in school and the Clearing House is holding its annual Sidewalk Sale. Co-owners and sisters Lisa Hudson and Cara Derr have been holding the Sidewalk Sale at their family’s consignment store in Timonium for 28 years. They set up a large tent outside, sponsored by BB&T, and fill it with fine china, furniture, artwork, linens and more. This year, Hudson and Derr said they have a lot of unique jewelry pieces for sale as well as props from the set of House of Cards. The props include many sets of curtains and dining room chairs and tables. The Clearing House donates all of the proceeds to the House of Ruth , which seeks to end intimate partner violence against women and their children. The sisters say the work the House of Ruth does is the reason they put in so much efforts to make the Sidewalk Sale happen. The Sidewalk Sale goes from 10 a.m. to 3 p.m., rain or shine. You're asked to bring cash or check and be prepared to haul away large items.